Let’s face it: you’re due for a few days away from the stress of the city. So, if you have a free weekend coming up, you owe it to yourself to pack a bag, load a cooler, and gas up the car for a quick getaway somewhere beautiful, ideally, surrounded by nature. But if you’re a pet owner, spontaneous travel isn’t quite so simple. That is, unless you bring your dog along for the ride . 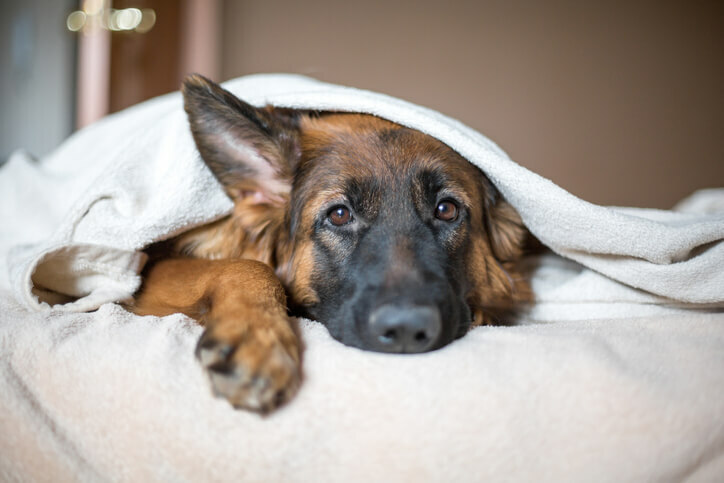 . .
Now, if the mere thought of being cooped up in your car for hours on end with your dog barking its head off sends you into a panic, don’t worry. We’re here to show you that long-distance car travel with your dog doesn’t have to be a waking nightmare. 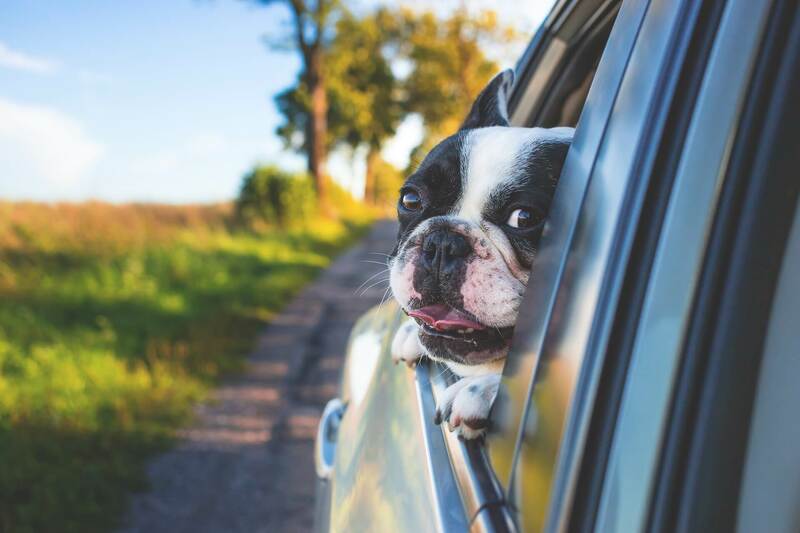 And with the right preparation (and some help from Travall pet car accessories), a dog-centric road trip may be something you look forward to every time. Here’s how to have a successful weekend road trip with your dog. Traveling can be stressful for animals no matter how prepared you are. That’s why it’s important to make sure your dog is in good health and fit for the journey from the get-go. If you plan on taking lots of weekend road trips in the near future, you shouldn’t need to visit the vet before every trip. As long as you keep up with yearly checkups and vaccinations, you should be good. 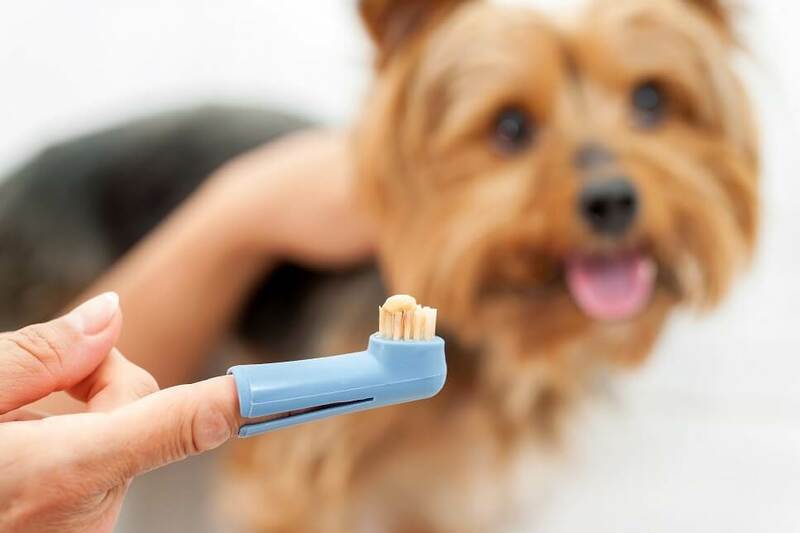 However, if this is your pup’s first long voyage, a thorough check-up is a smart move. At the clinic, share your travel plans with your vet so he or she can recommend any additional medications or vaccines beyond the usual. For example, if you know you’ll be traveling in areas where ticks live, the vet might recommend a vaccine for Lyme disease. Also, double check that they’re up-to-date on flea treatments as a mid-trip infestation could make for an itchy ride! While you’re at it, confirm that your dog’s I.D. tag is up to date and attached to a well-fitting collar. Be sure to include as many forms of contact on the tag as possible—phone number, mailing address, and email address if there’s enough room. If your dog is micro-chipped have the vet office check that your information in the system is up-to-date. Updating this information before you leave town can save the day if you get separated from your pet during the trip. You might be able to power through and drive eight hours non-stop. But chances are, your dog doesn’t have quite the same ride-a-long stamina, let alone bladder capacity. Taking regular breaks from driving is essential to maintain peace in the vehicle and avoid potential accidents. A good driving schedule to start with the is to take a 20 to 30-minute break every 4 hours or so. Find a grassy rest area or park where everyone on board can stretch their legs, use the bathroom, and refuel with snacks and drinks. As you go, you’ll figure out what driving and resting intervals work best for you and your pet. Be flexible and plan on making more stops than you would if you were riding solo. If you’re camping, this shouldn’t be much of an issue as most campgrounds with State Parks and National Forests are very welcoming to dogs. However, if you’re staying in hotels, it’s critical that you call ahead of time to make sure they allow pets. Each of these hotels welcomes pets at no additional cost. Now you won’t have to “sneak” your dog into a room where they shouldn’t be! Take an old suitcase or backpack you no longer use and pack it full of all your dog-related necessities. That way, everything you need to perform dog-chores on the road will be centrally located for easy access. You’ll be surprised how much time and headache this one little trick saves you. Anytime your dog is in the car, it’s important that they’re restrained so they can’t roam around the cabin which could cause distracted driving or injury to you or your pup. The hands-down easiest way to do this is by installing a Travall Guard over the rear seats of your car or SUV. Travall Guards are engineered to fit specific vehicle models precisely, so the first step is to use the vehicle lookup tool to find the Travall Guard that fits your make and model. On the road, your dog will ride behind the Travall Guard in the cargo area. Cozy this space up! 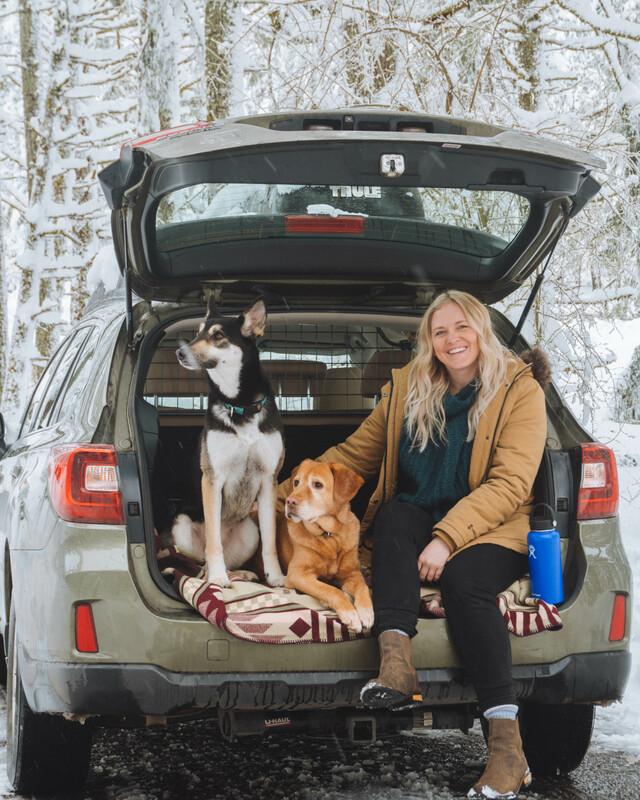 Add soft blankets or a pet bed, his or her favorite toys, and anything else from home that’ll make the ride more comfortable for the long miles ahead. Unless you own a Great Dane or another large-breed that takes up the entire cargo area, your dog likely doesn’t need such a huge space all for themselves. In fact, being in a smaller, more confined area could help your dog feel more secure and relaxed while traveling. Here’s where the Travall Divider really shines. Working in conjunction with the Travall Guard, the Travall Divider, well, divides your trunk into two separate compartments: one for your dog; one for your luggage, cooler, and any camping gear you need. If you happen to be traveling with not one, but two furry friends, each dog can have their own space thanks to the Travall Divider. Just because they get along great at home, doesn’t mean there won’t be a few scuffles when stuck in a car all day! Keep them separate and avoid any racket from the beginning. Take Your Time and Enjoy the Road with Your Dog! 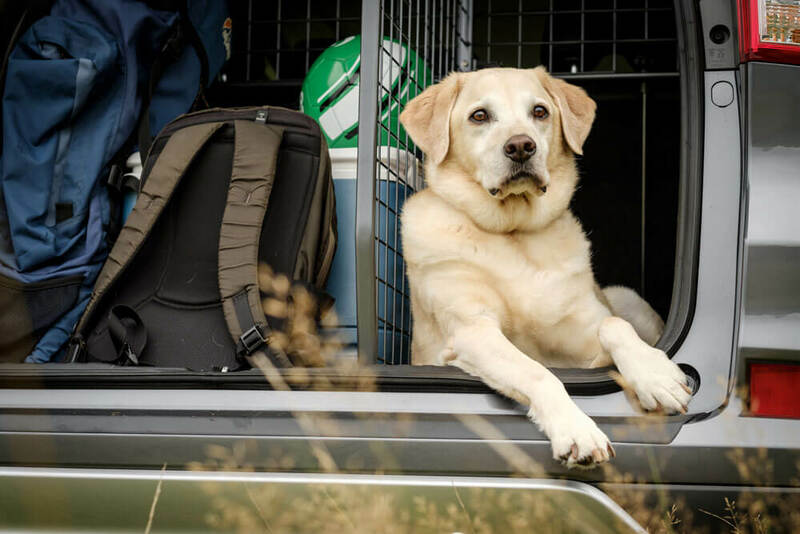 Once you’ve made all the pre-trip preparations and have outfitted your car with a Travall Guard and Divider, you may find that life on the road is so enjoyable with your dog that you won’t want to go anywhere without your sidekick! 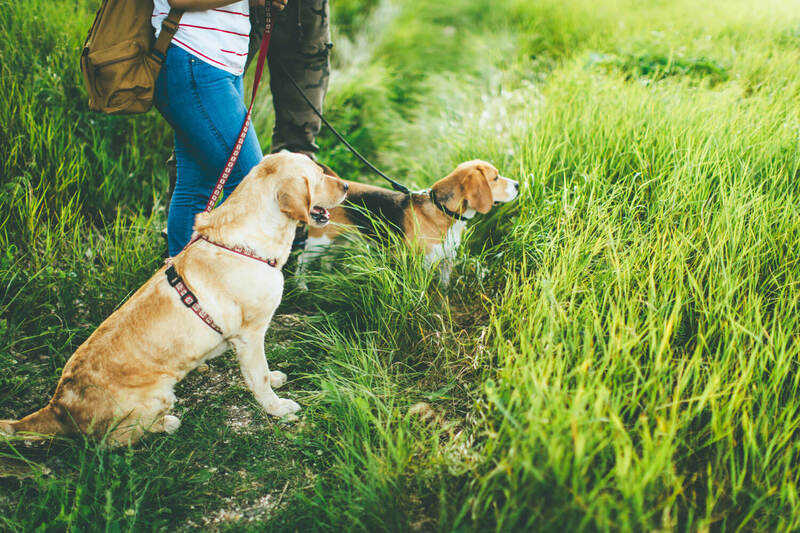 It’s important to note, however, that traveling with pets takes on a slower pace than if you were making miles on your own. 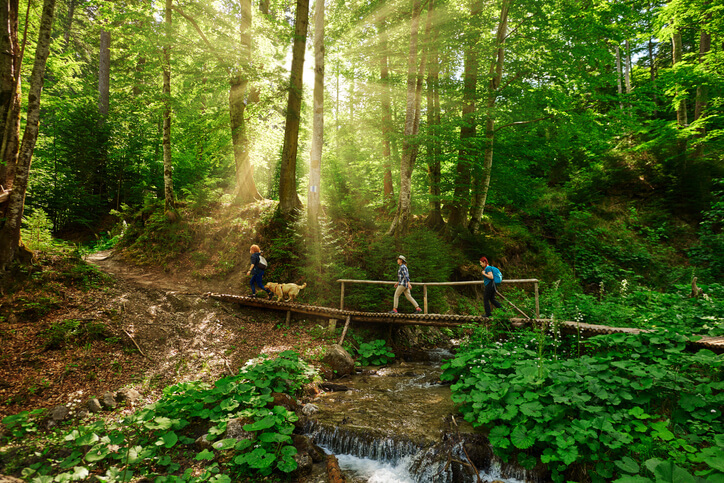 But if you can find ways to embrace the more leisurely pace, you’re in for an incredible experience that’ll bring you closer to your pet while getting you out of the city to unwind and recharge.